to enter into a WP or WT withholding agreement with the IRS under ­§§1.1441-5(c)(2)(ii) and (e)(5)(iv). If a foreign partnership has U.S. partners, the foreign partnership is generally required to file Form 1065 with a Schedule K-1 to report each U.S. partner. 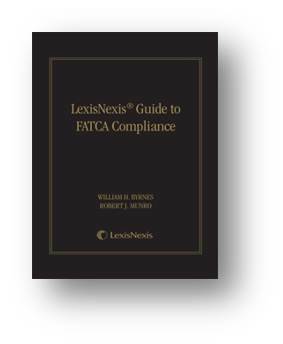 If a foreign trust is a grantor trust with U.S. owners, the foreign trust is required to file Form 3520-A, Annual Information Return of a Foreign Trust with a U.S. Owner, and to provide statements to a U.S. owner, as well as each U.S. beneficiary who is not an owner and receives a distribution. What Entities Are Eligible to Execute a WP or WT Agreement? The WP agreement and WT agreement may be entered into by a foreign partnership and a foreign trust. 3. a registered deemed-compliant Model 1 IGA FFI (as defined in section 2 of the WP agreement or WT agreement). An FFI that is a certified deemed-compliant FFI (including a nonreporting IGA FFI may enter into a WP agreement or WT agreement if the FFI meets and agrees to assume the obligations of, and to be treated as, a participating FFI (including a reporting Model 2 FFI), a registered deemed-compliant FFI (including a reporting Model 1 FFI or a nonreporting Model 2 FFI treated as registered deemed-compliant), or a registered deemed-compliant Model 1 IGA FFI. An NFFE or an FFI that is a retirement fund (as defined in section 2 of the WP agreement or WT agreement) may also apply to enter into a WP agreement or WT agreement. What Is the 2014 Effective Date of Execution of the Agreement? An entity (other than a retirement fund or an NFFE that is not a sponsoring entity) that applies for WP or WT status before August 31, 2014 and is approved will have a WP agreement or WT agreement with an effective date of June 30, 2014, provided that it obtains a GIIN, if it has not already done so, within 90 days of such approval. An entity (other than a retirement fund or an NFFE that is not a sponsoring entity) that applies after August 31, 2014 will have a WP agreement or WT agreement with an effective date of the date it is issued a WP-EIN or WT-EIN, if its application is approved and provided that it obtains a GIIN, if it has not already done so, within 90 days of such approval. A new WP or WT applicant that is a retirement fund or an NFFE that is not a sponsoring entity will have a WP agreement or WT agreement with an effective date of the date it is issued a WP-EIN or WT-EIN, if its application is approved. What Is the Effective Date After 2014? For calendar years after 2014, applications for WP or WT status received on or before March 31 of the calendar year, if approved, will be effective January 1 of that calendar year. Applications for WP or WT status received on or after April 1, if approved, will be effective January 1 of the following calendar year and the entity must be in compliance with the WP Agreement beginning January 1. Section 1471(a) requires a withholding agent to deduct and withhold a tax equal to 30 percent on any withholdable payment made to an FFI, unless the FFI agrees to and complies with the terms of an FFI agreement to satisfy the obligations specified for a participating FFI, is deemed to meet these requirements of a deemed-compliant FFI, or is treated as an exempt beneficial owner. Section 1472(a) requires a withholding agent to deduct and withhold a tax equal to 30 percent on any withholdable payment made to an NFFE unless such entity provides a certification that it does not have any substantial U.S. owners, provides information regarding its substantial U.S. owners, or an exception to these requirements otherwise applies. nonparticipating FFIs and recalcitrant account holders under the FFI agreement, or an applicable Model 2 IGA. See the FFI agreement, §1.1471-5(f), and the applicable Model 2 IGA for the withholding requirements that apply to withholdable payments made to account holders of the FFI that are individuals treated as recalcitrant account holders. A reporting Model 1 FFI or a registered deemed-compliant Model 1 IGA FFI will satisfy its requirement to withhold under section 1471(a) with respect to its account holders by withholding on withholdable payments made to nonparticipating FFIs to the extent required under the applicable Model 1 IGA. A withholding agent (including a participating FFI or registered deemed-compliant FFI) that is required to withhold on a withholdable payment must report the payment on Form 1042- S, Foreign Person’s U.S. Source Income Subject to Withholding. A participating FFI (including a reporting Model 2 FFI) and certain registered deemed-compliant FFIs must, for a transitional period, report certain information about accounts it maintains that are held by nonparticipating FFIs. A withholding agent (including an FFI with respect to payments made to an NFFE that were not already reported with respect to a U.S. account or U.S. reportable account (as defined under the applicable Model 1 or Model 2 IGA) is also required to report withholdable payments made to an NFFE (other than an excepted NFFE) with substantial U.S. owners on Form 8966, FATCA Report, even though no withholding is required. A withholding agent is required to deduct and withhold a tax equal to 30 percent on any payment of U.S. source fixed or determinable annual or periodical (FDAP) income that is an amount subject to withholding made to a foreign person. A lower rate of withholding may apply under the Code, the regulations, or an income tax treaty. Generally, a withholding agent must also report the payments on Forms 1042-S, regardless of whether withholding is required. Coordination of Withholding and Reporting Requirements under Chapters 3 and 4. With respect to a payment that is subject to withholding under chapter 4, a withholding agent may credit any tax withheld under chapter 4 against its liability for any tax due with respect to the payment under chapter 3. A withholding agent may use a single Form 1042-S to report information required under both chapters 3 and 4 with respect to a withholdable payment of U.S. source FDAP income subject to withholding under chapter 4 and for which a credit against the beneficial owner’s chapter 3 liability, if any, may be claimed. Thus, a withholding agent that reports on Form 1042-S a withholdable payment that has been withheld upon under chapter 4 may provide certain information about the beneficial owner of the payment for purposes of chapter 3 on the same Form 1042-S. With respect to a withholdable payment of U.S. source FDAP income that is not subject to withholding under chapter 4 and that is an amount subject to withholding (or reporting) under chapter 3, a withholding agent is also required to report the applicable chapter 4 exemption code in addition to the other information required to be reported on Form 1042-S.
What Are the Changes to the WP Agreement and the WT Agreement? The revenue procedure revises and updates the WP and WT agreements to coordinate with the withholding and reporting requirements of chapter 4, and based on the IRS’ experience in dealing with these entities since the WP and WT agreements were first published in 2003. Additionally, because a WP or WT will be required to assume primary withholding responsibility for chapter 4 purposes, the revised WP agreement and WT agreement expand the scope of payments for which an entity can act as a WP or WT to reportable amounts (as defined in section 2 of the WP or WT agreement, which includes withholdable payments). Thus, a WP or WT need not provide its withholding agent with a nonqualified intermediary withholding certificate and withholding statement for reportable amounts not subject to chapter 3 withholding that are allocable to partners, beneficiaries, or owners that are U.S. non-exempt recipients. A WP or WT will be required to report partners, beneficiaries, or owners that are U.S. non-exempt recipients on Form 8966, Schedule K-1, or Form 3520-A to the extent required under its FATCA requirements or the WP agreement or WT agreement. The existing WP agreement and WT agreement require a WP or WT to document its partners, beneficiaries or owners solely with Forms W-8 and W-9 and do not permit reliance on the presumption rules of chapters 3 or 61. The revised WP agreement and WT agreement also prohibit reliance on the presumption rules with respect to a WP or WT’s direct partners, beneficiaries, or owners and retain an automatic termination provision for a WP or WT’s failure to obtain documentation for a direct partner, beneficiary, or owner. The revised WP agreement and WT agreement provide for the use of documentary evidence, in lieu of a Forms W-8 or Form W-9, for direct partners, beneficiaries, or owners that is obtained by a WP or WT that is an FFI and that is subject to the “know-your-customer” practices and procedures of a jurisdiction that the IRS has approved. A list of jurisdictions for which the IRS has received know-your-customer information and for which the know-yourcustomer rules are acceptable is available at: http://www.irs.gov/Businesses/International-Businesses/List-of-Approved-KYC-Rules. The rules permitting the use of documentary evidence do not apply to an NFFE acting as a WP or WT, which is required to obtain Forms W-8 and W-9 to document the chapter 3 status and, when required, the chapter 4 status of its partners, beneficiaries, or owners. Agency Option, Joint Account Option, and Indirect Partners. The existing WP agreement and WT agreement do not allow a WP or WT to act as a WP or WT for its indirect partners, beneficiaries, or owners, except in two specific situations describe section 9 of the WP agreement or WT agreement (agency and joint account arrangements), both of which require a written agreement between the WP or WT and another foreign partnership or foreign trust. Notwithstanding the restriction described above, the existing WP agreement and WT agreement were modified by rider in certain cases to permit a WP or WT to act as such for its indirect partners, beneficiaries, or owners, but the rider required specific payee reporting by the WP or WT with respect to these partners, beneficiaries, or owners. The WP agreement and WT agreement are revised to provide that a WP or WT may act as a WP or WT with respect to direct and indirect partners, beneficiaries, or owners of a direct partner that is a passthrough partner (as defined in section 2 of the WP or WT agreement), provided that such partner, beneficiary, or owner is not a U.S. non-exempt recipient (unless such U.S. non-exempt recipient is included in the passthrough partner’s chapter 4 withholding rate pool of U.S. payees or recalcitrant account holders) in which case the WP or WT may also assume the withholding and Form 1042-S reporting requirements for these indirect partners. The existing WP agreement and WT agreement require periodic audits by an external auditor in certain circumstances, including when a WP or WT made a pooled reporting election. The revised WP agreement and WT agreement replace the external audit requirement with an internal compliance program. Modified Form 1065 Filing Requirement. Under the existing WP agreement, unless modified by a rider, a WP is required to file Form 1065 and Schedules K-1 in accordance with the requirements of §1.6031(a)-1 and the instructions to the form.The revised WP agreement, incorporates the modified filing obligations under §1.6031(a)-1(b)(3) with certain revisions to permit a WP that meets the conditions specified in section 6.03(B) of the WP agreement, including that the WP would not otherwise be required to report a specifically allocated item to any partner on Schedule K-1, to either not file a partnership return or not file Schedules K-1 for certain foreign partners dependent on whether the WP has any direct or indirect U.S. partners.